Areng Valley (Cambodia): Called by the Prime Minister Hun Sen the ‘Battery Province,’ Koh Kong has potential for hydropower dam construction projects. Areng dam is one of the plans. However, there have been conflicts caused by its immense natural and cultural impacts to the local indigenous community. Once the dam is constructed, 1,500 indigenous people will be forcefully relocated to the nearby Cardamom protected forest, and roughly 44 squares kilometers area will be flooded and become a giant water reservoir, destroying endangered animals’ habitats and biodiversity of many kinds. “We will fight on our own against the construction even if there is no outside support,” a villager clearly emphasized when asked what the community would do during the absence of Mother Nature founder, Alex Gonzalez-Davidson, a Catalan who had settled down in Cambodia for 12 years before he was told to leave Cambodia by the Cambodian government. His answer clearly reflects a strong determination of the indigenous people in protecting Areng valley. 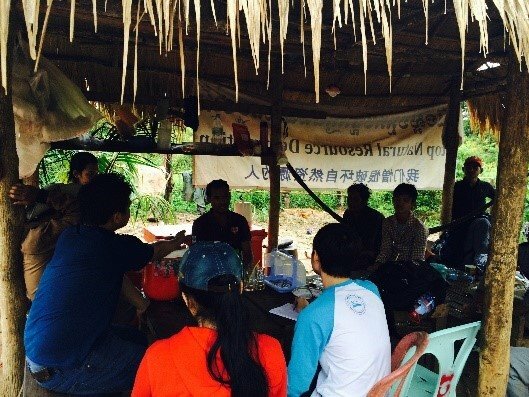 In a short interview at the community centre in Chong village, a group of villagers actively getting involved in the campaigns against Sinohydro’s hydropower dam construction asserted that the electricity would offer them no benefits at all besides harming their livelihoods and the environment. A villager said that her ancestors had been living in and fed by the valley for over 600 years. “We have lived here very happily. We don’t need the dam. Even without electricity, we can survive by nature, by our river and by our farming,” said a female villager living nearby the community centre. Based on my self-study and observation, their statement is loud and clear in the sense that the advantages of the dam will not outweigh its far-reaching effects on the people, endangered animals and the forests. During the trip, I have observed that Areng River does not flow so strongly enough and the valley is so flat that it will not be able to efficiently run the turbine to generate electricity during dry season. I hope readers do not get me wrong. Hydroelectricity is not per se a bad thing. Both Mother Nature and the local communities also agree so. 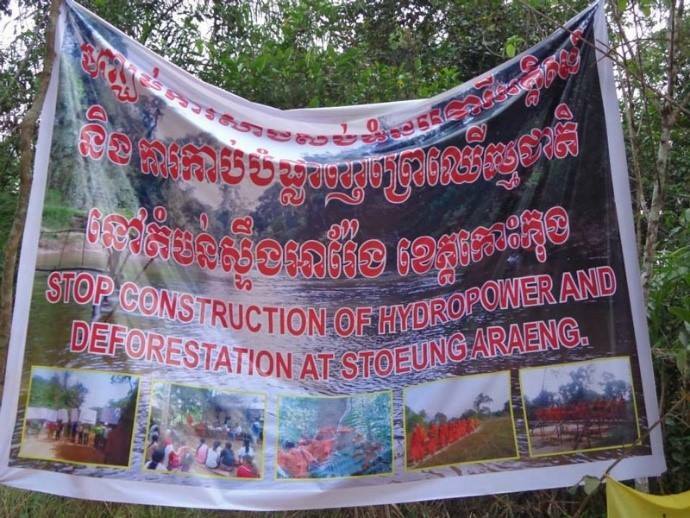 Apart from that, according to the village representative, there have been two companies coming to assess the feasibility of the hydropower dam project in Areng, and all the results were dissatisfactory as the project will not be profitable, yet diversely impact the entire rainforests. The community people understand it very well that this third company has its hidden agenda beyond their intention to build the dam, and that will be to collect luxurious timbers through clearing out the forests. So far, they have submitted petitions to the Chinese Embassy and Energy and Mining Ministry, and got support from International River Organization (IRO). The villagers are now organizing three teams to facilitate trips for visitors. The first is ‘Moto-dub’ team, who will transport visitors from Thmor Bang to the village centre. The second is ‘Housing’ team, who will prepare and provide accommodation at villager houses for the visitors. The third is ‘Guide’ team, which will guide the visitors to ecotourism sites in the areas, such as Chhay Areng River and their tributaries, hiking sites, and Siamese crocodiles’ and dragon fish’s habitats, many more. However, they added that their efforts in preventing the dam construction is much more important, and they urged all Cambodians and NGOs to pay attention to the Areng valley. Based on interviews with Chong villagers and my observation, there is not much development happening in Areng. First, there is no accessible health referral or centre. If anyone gets sick, they need to travel 20 kilometers away their village. Second, there is no primary school for small kids within the community, making it difficult for children to access education. There is school, but it is so far away from home. Third, no communication could be made since there is no phone reception available at the valley. The villagers said they had urged the authorities to consider constructing roads, schools and health centre nearby the community, but the authorities refused by stating Areng valley is a conflicted zone; if schools are built and then the dam is constructed, they will be flooded. So far, it has been really tricky for tourists to reach this isolated rainforest due to virtually inaccessible roads and communication. But, I believe that responsible tourism will help provide some income to the locals and therefore will enable the local community to make roads, bridges etc in the near future. We as visitors also understand that the communities have been quite isolated due to lack of access to infrastructure and communication, but they do not really think of these as obstacles, yet more like an opportunity for them to redeem. 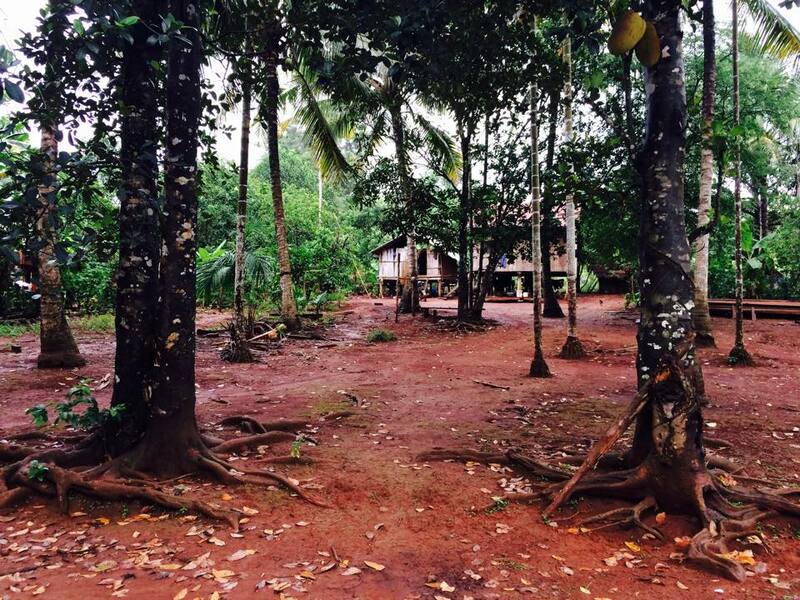 How to help Chong Community in Areng Valley? Contact local people in the area: We can contact the community people directly by getting their numbers from Mother Nature‘s local members living with the community. 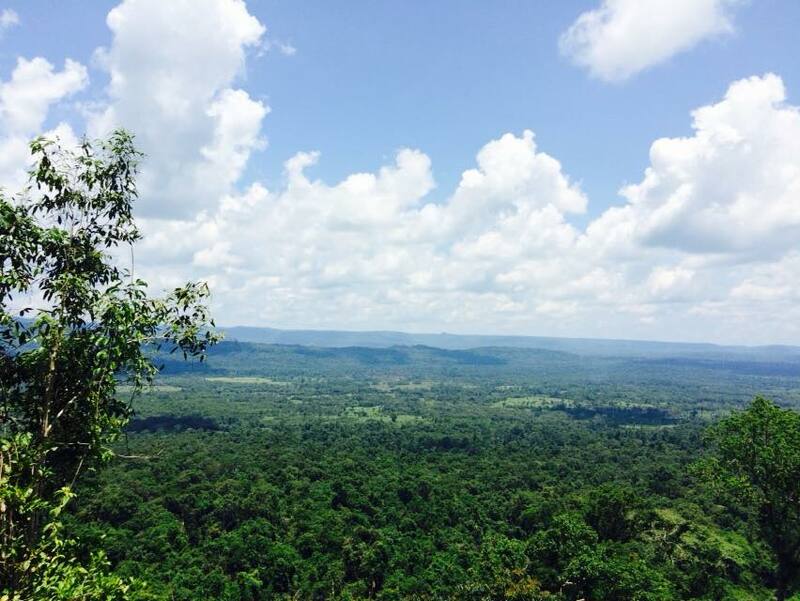 When visitors leave for Areng Valley, they should bear in mind that they can get Metfone signal reception as far as Thmoar Bang district (Koh Kong province) only, and since communication is difficult, it can take a bit of time. Once you have contacted the community, the villagers will send a few villagers to motor-taxi you to the area. This might cost from 15 to 20$ per moto (no matter how many pillion riders there are). Accommodation: they would provide you two options. First, you may be accommodated at a Pagoda called Orng Kiri in Pralay Village. In this case, you are kindly suggested to offer some food to the monks there. For my case, the NGO arranging the trip put us in a house of a local host (bear in mind of the basic lifestyle there) paid for the accommodation (like 50,000 riel per whole trip) to a local host family. Local tour guide: You ask the community to be the tour guide, but they do not speak English but Khmer. The service might cost around 10-15$ per day, so you’d better gather more people to share the cost. The guide will take you to any place you want, but make sure you can walk, for some places are difficult for to reach by motorbikes but on foot. Time on the road: When I travelled there, it took me around 3 hours (if you travel non-stop) to reach Thmor Bang district. From Thmor Bang district to Areng village in Koh Kong, it took me about another hour and a half. Areng Village has Areng river, but our destination was “Chong Village” where the Chong villagers (community) have been defending their nature and lives. 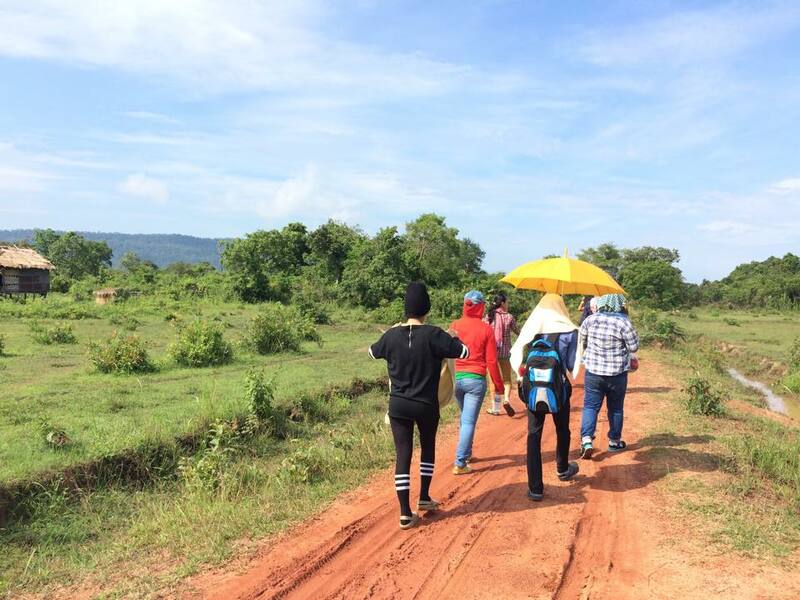 Road condition: The roads from Thmor Bang to Areng village could be travelled on 4-wheel drives, but for a van like SunYong or other 12-seater car, it is almost impossible, especially in the rainy season in Cambodia due in part to the muddy, slippery, and unpaved roads. In the case that the car cannot move, you need to walk all the way there. From Areng village which I mentioned above, you could then reach Chong village where the Chong indigenous people live, within 15 Km by motorbike, but the roads towards the village were like a nightmare. 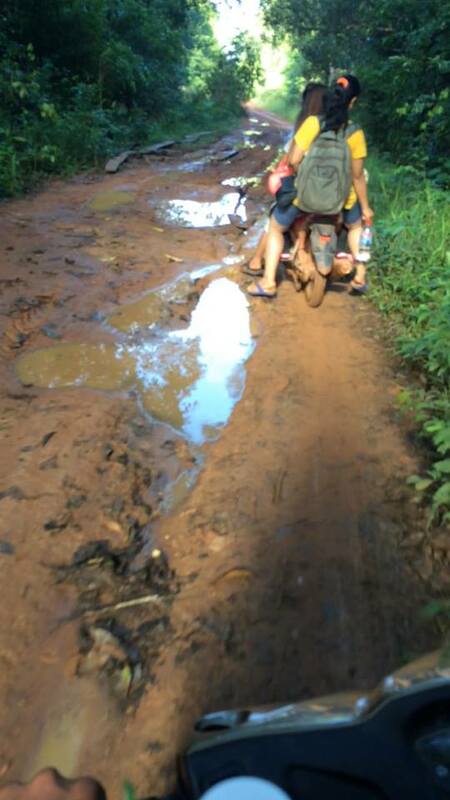 Based on real experience: My NGO had planned to get the team to Chong village directly by a 4-wheel drive without using the motor taxi, but it failed miserably because the drivers refused to drive on the muddy and slippery roads plus terrifying fragile wooded bridges ahead. 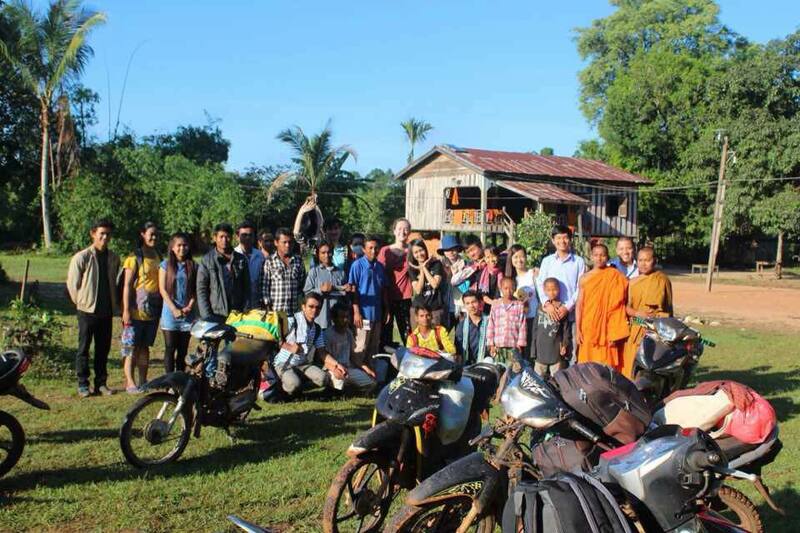 Therefore, we decided to call for help from the Mother Nature Activist, Mr. Mot Kimry, to ride his motobike to the Chong village and ask for a few motor-taxi villagers from the Chong community to pick us up. Unfortunately, our team had to walk for about 1 hour so that we would not waste time waiting and letting the night fall. Around 9pm, a few motor-taxis came pick us up and dropped us off at a pagoda, Orng Kiri in Pralay village. WARNING: There are many land, blood-sucking leeches along the way, waiting to jump on those who wear shorts. Type of clothes you should wear? Of course, long pants and long-sleeved shirts. If you could, put your thick socks on as well. It was a bit scary to talk about those blood suckers as there have been many cases that visitors were bitten by those leeches. You won’t die, but it is not a pleasant experience. I couldn’t imagine it when I was told that the leeches could crawl all the way inside someone’s pants. So, do be take precaution if you travel to the area. Food: If you do not carry some food from Phnom Penh, you will need to eat only instant noodles and can fish, which is pretty decent of course. There is enough hot water to do the job. For example, my team carried some dry fish and beef along and also some eggs, but somehow, it was not adequate so we ate the instant noodle the local people sold. Electricity: It was quite okay because the pagoda would run the generator for some time. We visitors were politely asked to chip in for the petrol to run the generator. Please bear in mind that water was not quite clean but still usable for a shower or so. Water can be found from two wells located nearby the pagoda where we spent the night. You could also use water to brush your teeth, but for those who are worried about hygiene, I suggest using a bottle of water you buy from Areng village for both drinking and brushing your teeth. Imagine the life the villagers are having there when you do daily activities there. WARNING: I think it is very important to only drink only bottled water if you have, but if you boil water there, you can use it for cooking instant noodles or other types of food. My team was so ready for the trip as we were informed before we hit the road to Chong village. We carried uncooked food such dry beef, eggs, rice…etc to cook together and eat together inside the pagoda. If you are interested to go, kindly contact these numbers of the Mother Nature members: 088 9037373 & 010 333 660. These kind people can easily put you in touch with the Chong community, people, and whoever you would like to meet in the area. If you want to go in a big group, contact Mother Nature team to help set up the trip for you. You will learn something that books will never teach you. Let the nature take over your body, mind, and soul. – Chong is an ethnic minority living in Areng Valley. My name is Kakada, a Social Work graduate from RUPP and a person who likes doing volunteer work. I have been working and volunteering with NGOs whose beneficiaries are people living with HIV/AIDS and poverty, and youth. 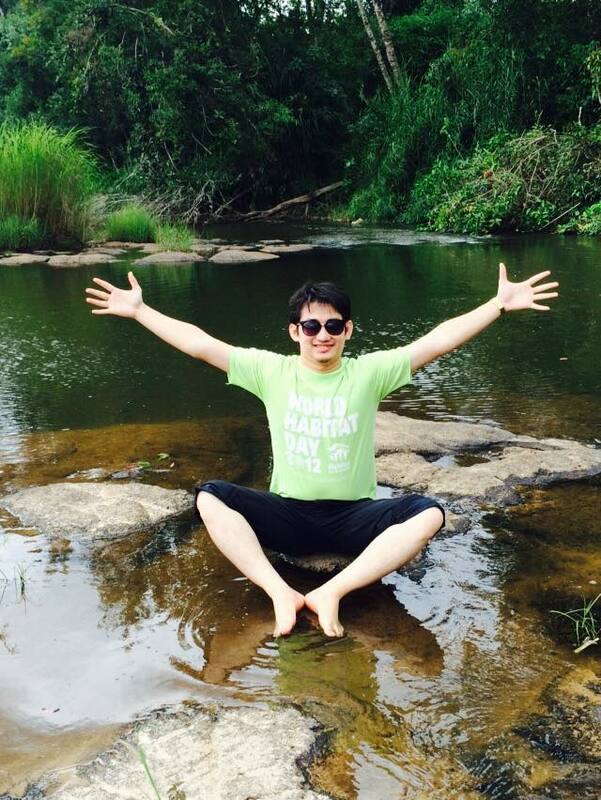 My professional goal is to work for NGOs and help assist Cambodians in improving society. 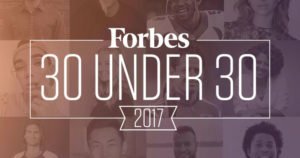 The target group I want to work with is youth. Currently, I am preparing for an academic journey to pursue a Master’s degree of Social Work in the US.